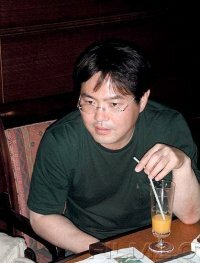 LEE'S SHORT FILMS SUCH AS "Torso" and "Love" received several important prizes in Korea, while "Umbrella", "Soul" and "Ashes in the Thicker" have screened at prestigious animation festivals in Hiroshima and Annecy. In 2002, his first feature-length animation < My Beautiful Girl, Mari > was named the Grand Prix winner at the Annecy International Animated Film Festival, the first Korean film ever to receive such an honor. [New Movie] A Magical Princess Saves Her Betrothed in Korean Animated Movie "Princess Aya"
[HanCinema's Film Review] "Kai - Animation"